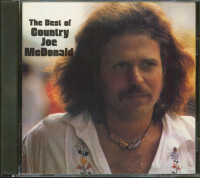 Joseph Allen 'Country Joe' McDonald was born in Washington, D.C. on January 1, 1942. While it is not easy to pinpoint his musical muses, it is clear that his parents role-modeled his progressive political views. In 1959 the U.S. Navy trained him to become an air controller and three years later he was honorably discharged. In 1965 McDonald started publishing 'Rag Baby,' a magazine for folk music followers in the San Francisco Bay area. The group’s first manager, Ed Denson, made up the name Country Joe and the Fish. 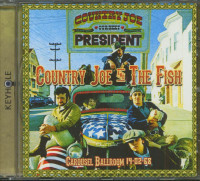 Joe’s parents named him after Stalin, who was known as "Country Joe" during World War II. The "Fish" came from a Chairman Mao quote that Denson found in a book, "The fish who swim in the sea of the people." 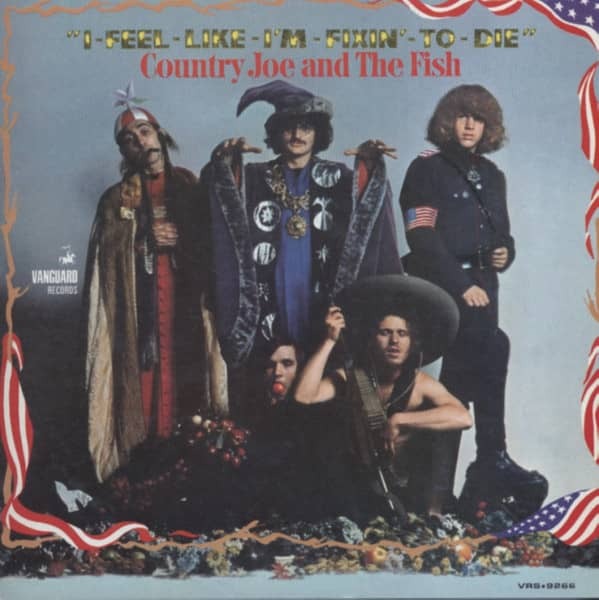 In 1966 the Fish became an important part of San Francisco's evolving psychedelic rock scene. They played alongside bands such as the Jefferson Airplane and the Grateful Dead at venues like Bill Graham's Fillmore West and The Avalon Ballroom. By 1967 they had a Top 40 album, 'Electric Music For The Mind And Body,' and a spot in the Monterey Pop Festival. At the end of the year, their signature anti-war song became the title for their second album. I-Feel-Like-I'm-Fixin'-To-Die Rag, with or without the infamous 'Fish cheer,' was already well known before McDonald's performance at Woodstock. After Woodstock, its chorus—"And it's one, two three, what are we fighting for/Don't ask me I don't give a damn/Next stop is Vietnam"—became a counter-culture anthem. It was sung on college campuses as well as by GIs arriving 'in country' for their tour of duty. Fixin'-To-Die has never been far from the public consciousness. It can be listened to and seen on the Internet by way of multiple music videos. Kundenbewertungen für "I Feel Like I'm Fixin' To Die"